“When I was asked to build a custom Loudbox Mini amplifier, I was immediately reminded of a tank both in geometry and durability. I wanted to build this Mini in a distressed military vehicle theme. The front grille lended itself to consider inspirations from the time-honored Willys MB utility vehicle and those that fought and endured.” — Keith Chapman, designer and builder. Aesthetically, this limited-edition Fiashman Loudbox Mini '44 sports the classic styling of a WWII Willys transport vehicle, complete with hand distressing on the Ponderosa pine cabinet, 0.22-caliber bullet casings for control knobs, an authentic 1944 Willys MB handle and much more. 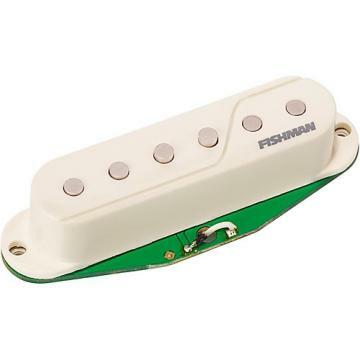 Functionally, the Loudbox Mini delivers the tonal quality that has made the Fishman name the standard for great acoustic sound. The Loudbox Mini packs 60 watts of clean acoustic power, and has two channels featuring Fishman’s legendary preamp and tone control designs. The amp also features digital reverb and chorus for the instrument channel and reverb for the microphone channel. The Loudbox Mini sports an AUX input and balanced XLR D.I. output, a must for jamming along and capturing your performances.